You can download Handbook of Insulin therapies by Dr Winston Crasto , Professor Melanie J Davies MB & Janet Jarvis RN free in pdf format. 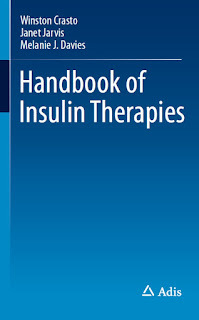 A clinically-focused handbook that provides an overview of the different types of insulin, delivery methods, emerging treatments, and cutting-age devices. 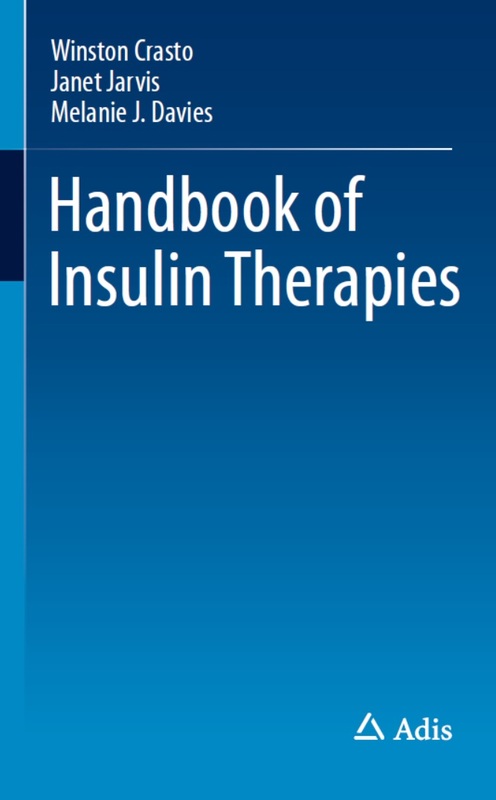 The aim of the handbook is to discuss insulin treatment strategies that can improve glucose control, enhance patient adherence, and minimize adverse effects and disease-related complications. Concise scope and size is ideal for busy healthcare professionals that regularly encounter patients with diabetes and require an up-to-date snapshot of advances in diabetes care. Dr Winston Crasto MBBS, MRCP, MD is a Consultant Physician in Diabetes and Endocrinology at the George Eliot Hospital NHS Trust, Nuneaton, UK and a Honorary Clinical lecturer at the University of Leicester . His specialist research interests are: diabetic nephropathy, new therapies and new types of insulin. He has a wide list of publications and is a lecturer and advisor to the MSc Diabetes program of study at the University of Leicester. He is Co-Principal Investigator for the GP Prompt study, an implementation strategy for reducing cardiac and renal complications in people with type 2 diabetes and microalbuminuria. Professor Melanie J Davies MB, ChB, MD, FRCP is an honorary Consultant Diabetologist at University Hospitals of Leicester NHS Trust, Leicester, UK and is Professor of Diabetes Medicine at the University of Leicester. She trained in Sheffield and completed her training in Cambridge, Ipswich, and Leicester. Her research is focused around the cause of type 2 diabetes, screening and prevention of type 2 diabetes, self-management, structured education, insulin management (particularly in type 2 diabetes), and new anti-diabetics, including incretin-based therapies. Professor Davies has over 25 years of clinical experience and has published over 300 articles in high-impact journals, as well as over 350 published abstracts and 10 book chapters..
Janet Jarvis RN, BSc (Hons), MSc is a Nurse Research Fellow and Specialist Nurse at the Leicester Diabetes Centre at the University Hospitals of Leicester NHS Trust. She has specialized in diabetes for 15 years and has been involved in major trials in diabetes prevention and screening. Her specialist research areas are patient education, microalbuminuria, and disease prevention. She is an associate clinical teacher at the University of Leicester and played a pivotal role in developing the MSc degree program in Diabetes.